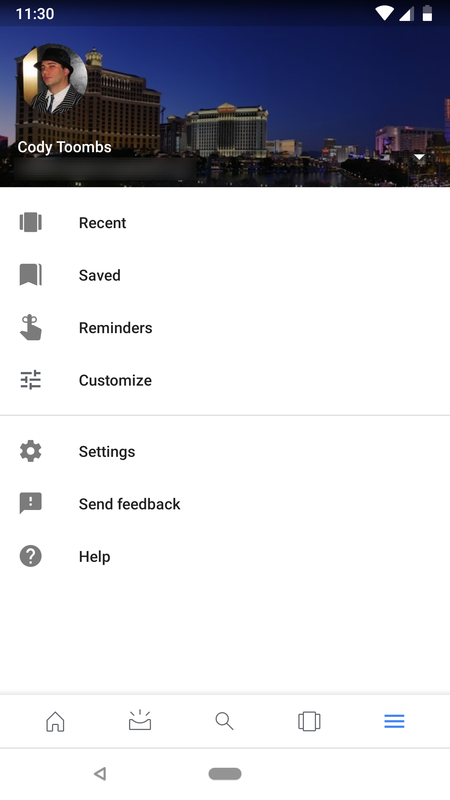 The Google devs are at it again with another late-night rollout of the Google app. Like most others, this update doesn't appear to bring any specific live changes, but it does include clues for a lot of the upcoming changes. There's plenty here to talk about, so let's just jump into it. For many of us, our YouTube history is sacred. Okay, maybe that's an exaggeration, but at least we don't want anybody launching random videos because they'll infect future video recommendations (more than they already have been). When smart displays launch a little later this year, you'll be able to prevent guests from opening YouTube videos with voice commands. At the moment, the toggle to disable YouTube for guests is only written into the "jasper" settings, which is the codename for smart displays. According to the description, it will prevent people whose voices aren't recognized by Voice Match from opening YouTube, YouTube Music, and YouTube TV. This feature isn't a lockdown on YouTube, it merely prevents voice commands from opening videos, but it shouldn't get in the way of launching the YouTube app by tapping the screen. 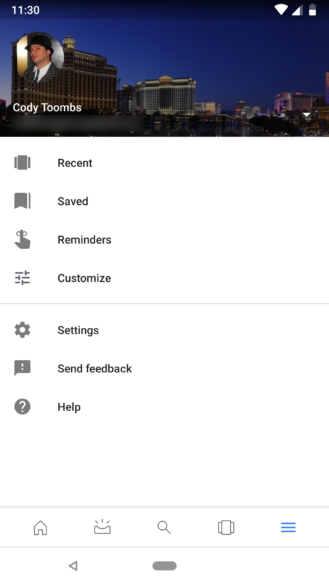 Google began testing a new screenshot editing and sharing tool early last year, then in 2018 the tool began working with all screenshots taken on a device. The functionality is pretty straightforward, you can tap a button to share your screenshots, and there's a built-in image editor if you want to crop them or add annotations before sharing them. Very few changes have been made since launch, but now it looks like the screenshot tool will be gaining one pretty cool new improvement: You'll be able to launch an image search for your screenshot. Aside from this label, there isn't much else to go on. This isn't live yet, but it certainly would be a cool feature. An image search might not be all that different from what we can already do with Google Lens, but it would be a little more convenient and intuitive for some of us to take the screenshot and tap a button. Version 7.25 of the Google app contained the first substantial mention of Google Assistant for Households. Earlier this month, the v8.6 update added fields for birthdays and relationships, but didn't really give much more than that. Now with v8.10, Google has added a list of the common familial relationships. The standard titles are here for husband and wife, brother and sister, boyfriend and girlfriend, and so on until it reaches grandparents and grandchildren. There is also a 'friend' title, though that seems vague for this situation. There are probably also a few titles missing for cousin, roommate, and so on. Just a little over a week ago, the v8.8 update added an action for Routines that would allow you to arm your security system. Continuing in the same thread, a new command will allow you to automatically lock your doors. There will be a new entry in Google's top-level menu. To be specific, we're talking about the menu that used to be a navigation drawer, but now it's just accessed through the hamburger icon at the left of the tabs across the bottom. The new item will be called "Top Apps" and will be located near the top of the list, right between Recent and Saved. Right now, there's nothing aside from the name to explain what this new item will be for, but we'll probably see more about it soon enough. There isn't any new information here, but for those interested, this is the promotional text Google will be using to advertise Duo on smart displays.